I’m not a huge fan of “last-minute gift guides” (or consumerism in general) but I do love the sparkly lights and warm vibrations of the holiday season. 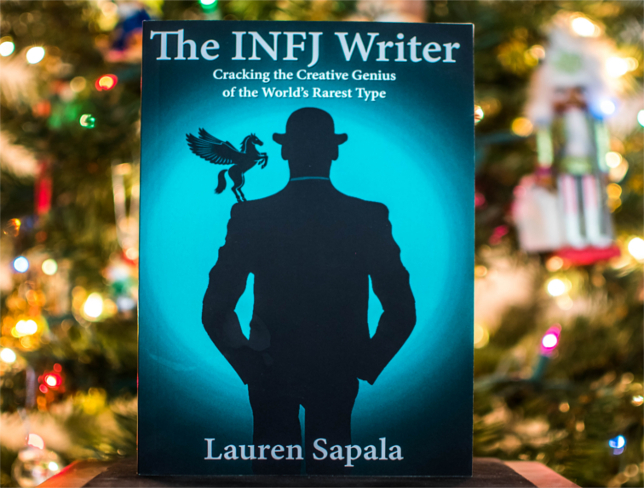 So in the spirit of sparkle and good vibes here’s a quick reminder that The INFJ Writer is a pretty dang good gift for that introverted, sensitive, intuitive and/or tortured writer in your life. The e-book is and always will be $2.99 and you can gift it to a friend straight from Amazon. Paperback copies are $7.99 so you won’t break the bank if your writer friend happens to be an old-school bibliophile and prefers that new-book smell over a Kindle. Happy holidays everyone and BIG LOVE to you!